With all the amazing constructions in Dubai, it’s hard to get surprised when we hear about something new. This desert city will get a new hotel in 2018- the five-star Rosemont Hotel & Residences designed by ZAS Architects. If it was a typical five-star hotel in Dubai, we wouldn’t be so thrilled about it, but this one isn’t typical at all. 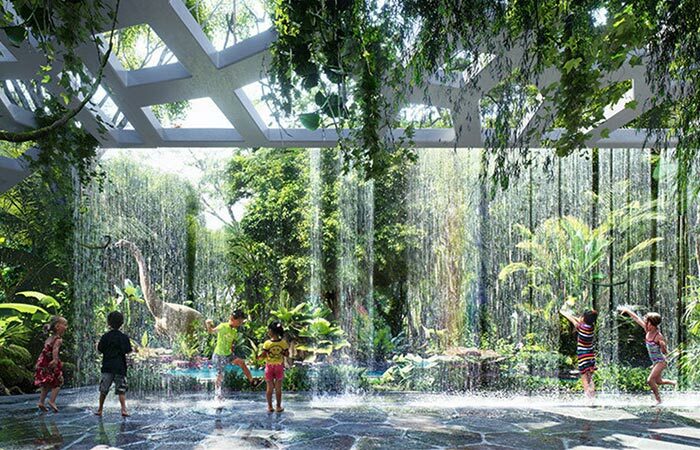 It will include an indoor rainforest and aquarium. 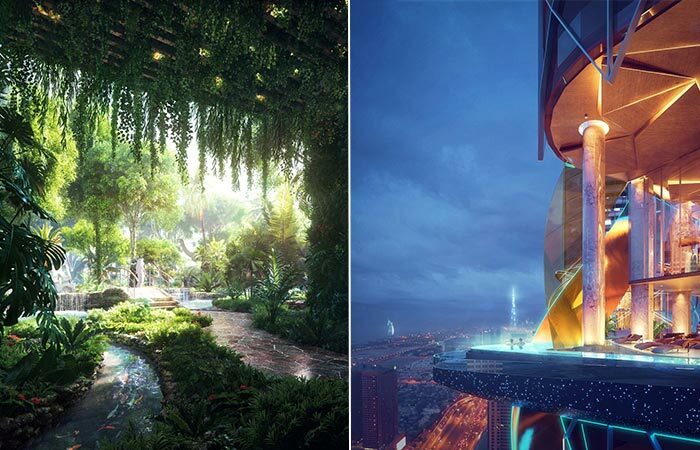 The 53-storey hotel in Dubai will feature 450 hotel rooms and 280 residential suites along with ultra-luxury amenities like a rooftop infinity pool, beach, spa, gym, trampoline park, a bowling alley, adventure area for kids, fine restaurants and even robotic luggage handlers in the main lobby. 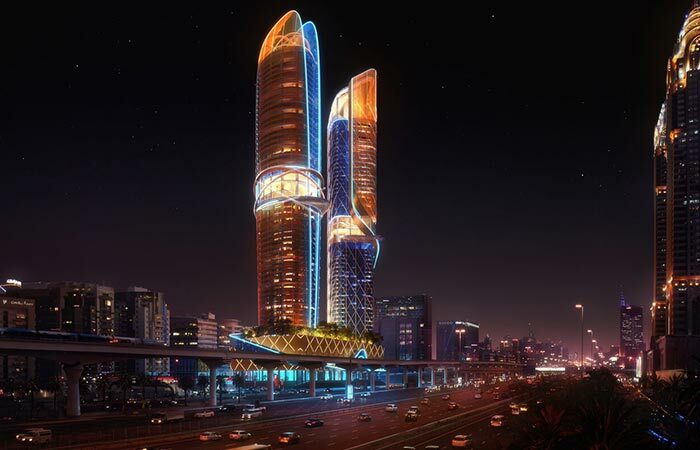 Rosemont Hotel & Residences is about to be opened in Dubai, in 2018. The 53-storey hotel is designed by ZAS Architects. Now, the part we’re all eager to hear. The rainforest will be open both for hotel guests but also for outside visitors. 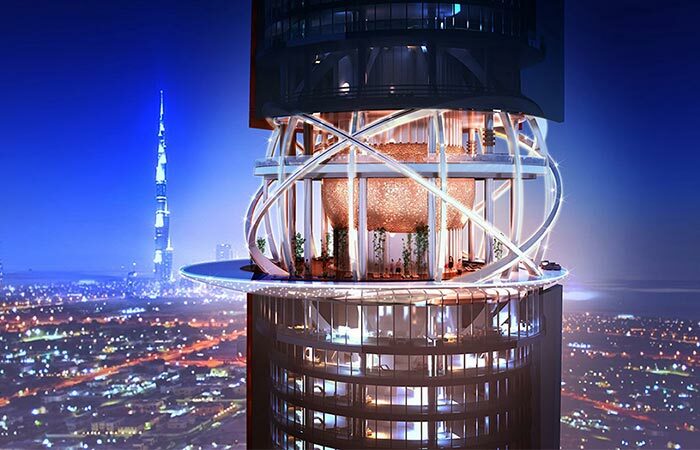 “You’ll have dense trees, canopies, some sun coming through, and during the summertime we will use the recycled condensation from the towers to have the mist coming down from the trees to cool down the air.” said ZAS Dubai managing partner DJ Armin. 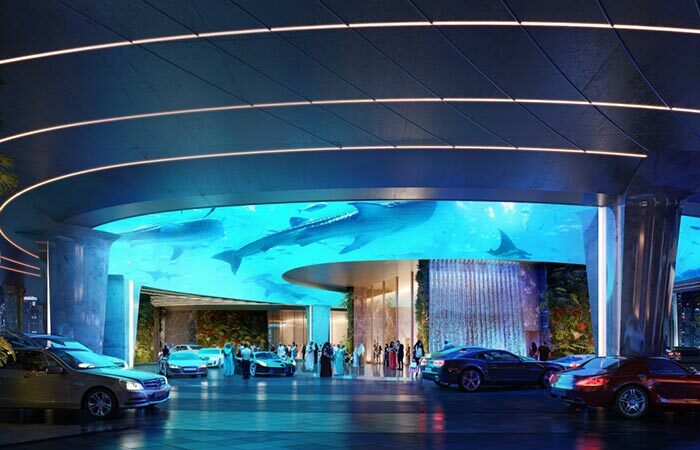 The hotel will include a rainforest and an aquarium. 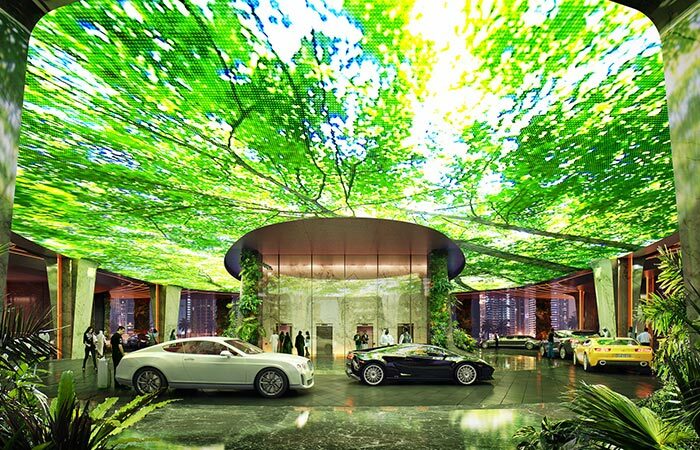 Besides the rainforest, the hotel will feature multiple luxurious amenities like the infinity pool, beach, spa, gym and many other. The cool climate of the rainforest will be perfect for hot Dubai summers. Not to forget the Rain Room that “simulates the sensation of being surrounded by rainfall without actually getting wet.” So, how is that supposed to work? “You’ll see rain but as you walk through it, you won’t get wet because it has sensors on top and it stops water flowing in a two-meter radius around the person walking in the room,” explained Preetam Panwar from ZAS Architects. The entrance will include 4D animations on the ceilings. The animations will be changing often.